Herein is the official website of the Sovereign ICJ (Sovereign International Court of Justice) and the Sovereign ICC (Sovereign International Criminal Court) for Banking & Redemption; with its Official Departments, Special Forces and New Partner Organizations to re-establish Order and Justice in the World and the Universe. Starting with the Redemption of ALL Imperial and Historic Treasures and Assets for the Wellbeing of Humanity and the Protection of the World and Beyond moving forward, we are also bringing Order and Justice against those who have Corrupted, Stolen, Defrauded and Manipulated the Banking, Financial and Governmental Systems for Greed, Profit, Personal and Corporate Benefit in the Enslavement and Harming of Humanity. 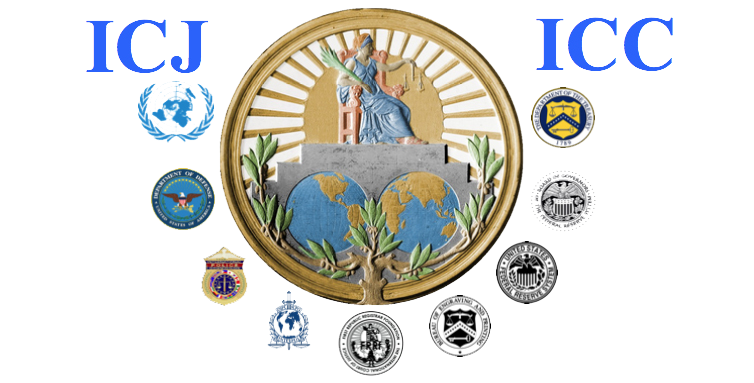 The Sovereign International Court of Justice (icj-icc.org) is the Paralegal Auditing and Accounting Settlements for Mainframes Cash Accounts, The Royal Office of The Holy Redeemer, Ancestral Heritage Assets Redemption and Cash Currency Legal Clearance Department.